One of Toronto's best kept music secrets is the delightful indie pop duo Dog Is Blue. They just keep quietly pumping out peppy, charming tunes. 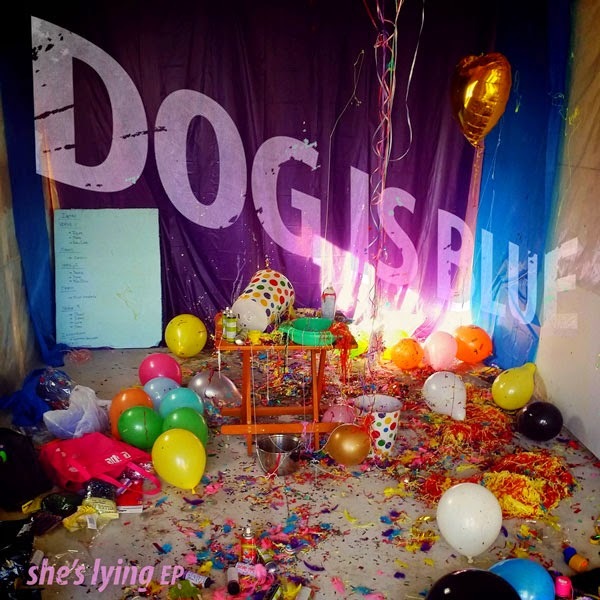 On My 12th they will release a new EP, She's Lying. Don't expect new original songs however. This is a different type of record. The EP kicks off with a pair of live versions of the group's tracks "Laura's Song" and "Raise Your Dead". The recordings are fuzzy, with a production quality that approaches Moldy Peaches levels of hiss and buzz. A couple of covers (always a welcome addition) are included. The male/female vocal interplay, a staple of Dog Is Blue's repertoire, does wonders for Robyn's "Dancing On My Own". They hold true to the Beach Boys style on the 'do do do/da da da do' focused "Aren't You Glad". The EP closes out with a remix of the previously released "People". This, the "Fuckum" remix adds some curse words to make an oddly catchy and melodic, if not somewhat gonzo, number. It's all fun, and hopefully just a placeholder before we get more new music. Dog Is Blue play the Handlebar in Toronto on May 19th. Best tracks: "Aren't You Glad", "People (Fuckum Remix)"